You can help stop potential power line problems before they start. If you’re thinking about planting trees near a power line, or if you’re wondering whether an existing tree’s location is safe, contact our office at 877.463.7165 and arrange to have us take a look. 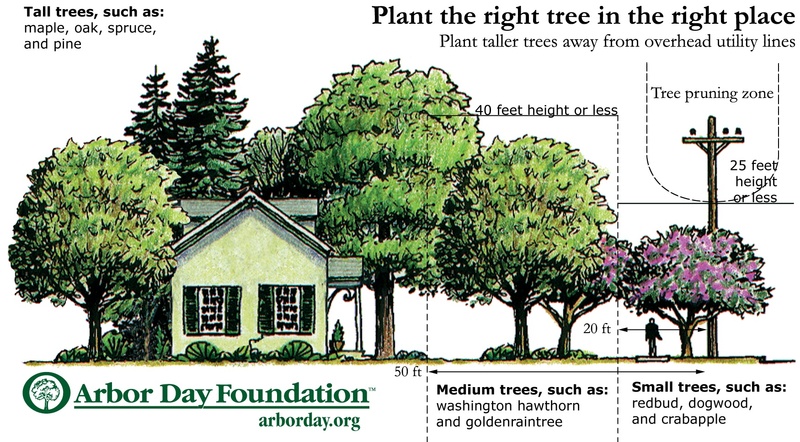 Remember to plant tall, narrow trees at least 30 feett or more from power lines. Trees that spread, including maples and oaks, should be planted at least 50 feet from the lines. Please follow the guidelines for planting trees around distribution lines. On the other hand, plant tall-growing trees like these at least 60 feet from power lines.